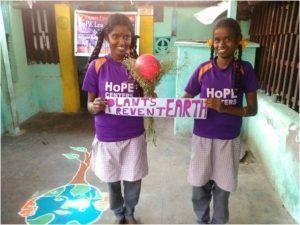 On Earth Day 2016, members of 120 nations signed the Paris Agreement as a united climate protection treaty. 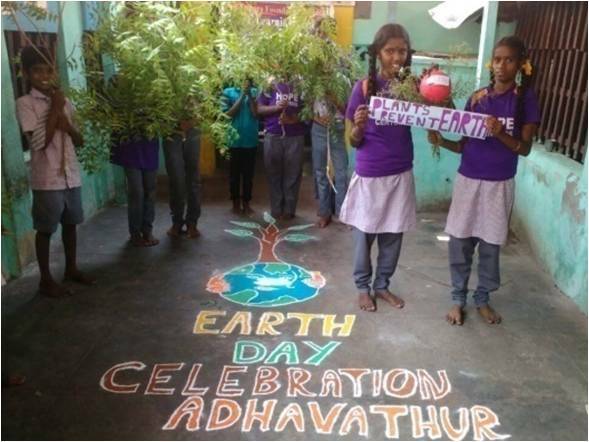 Even though the United States recently withdrew from this important collaboration, there is still plenty of HoPE/ Heaven on Planet Earth because students at HoPE Learning Centers in India continue to celebrate Earth Day on April 22 to show support for world-wide environmental protections by planting saplings and sharing information about global warming and innovative ways to conserve resources while leading active lives. It doesn’t take much to support HoPE and change among future leaders. 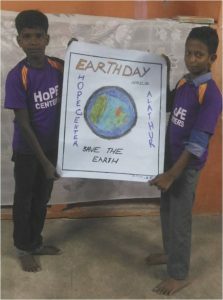 Right now, only $10 per month covers the costs of HoPE Center sponsorship, tutoring, lessons, materials, daily mini meals and world knowledge during special holidays, like Earth Day. 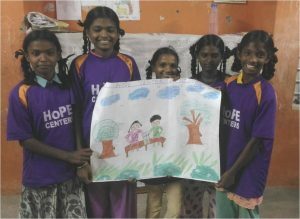 For only $350 per month, you can sponsor an entire HoPE Learning Center filled with 40 children.